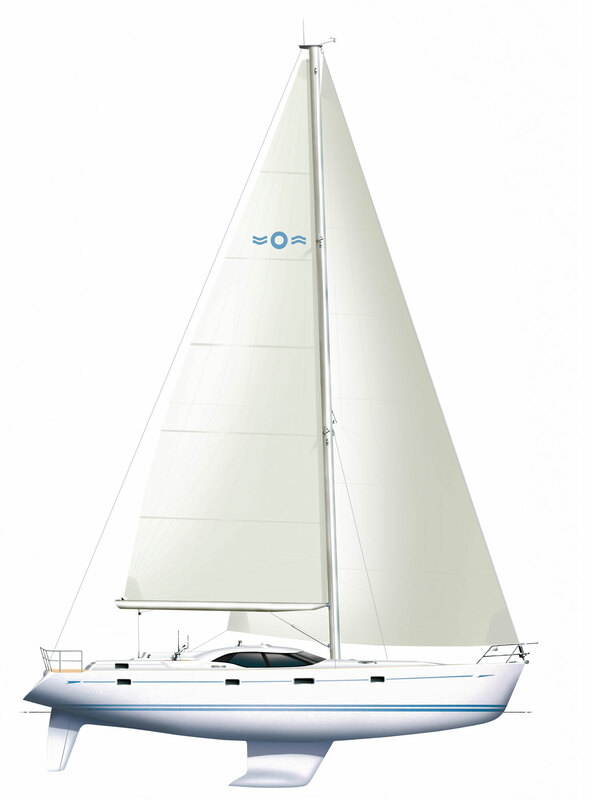 Mahina Kai is an Oyster 54, mast head sloop with a fully battened main sail. She is hull #2, which means that she is the 2nd yacht of this model ever built. She was built in New Zealand in 2008. Length overall 16.43m 53' 11"
Length of hull 16.12m 52' 11"
Length of waterline 14.10m 46' 3"
Air Draft 21.50m 70' 6"
Mahin Kai is fully equiped for long distance sailing. We are often ask "how many does she sleep?" our standard answer is 2:-) Although, she has 6 berths in 3 staterooms. She is equiped with two heads each with their own shower. She contains a salon were the crew can comfortably relax. The galley is equipped with both a refridgerator and a freezer, both run on the 24v house DC supply. She has a 7 Kw generator that can be used to charge the batteries and run any AC electrical appliancees. The main salon also has an central air and heat pump. A washer/drayer combo is neatly hidden under the salon table. As she is a UK boat, she also carries a service for 8 of custom Wedgewood china.